Are you curious to find out how much you use your cell phone compared to other people? 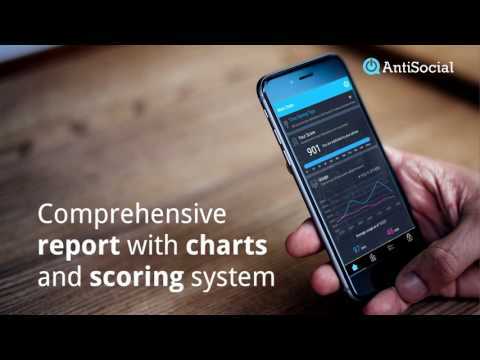 AntiSocial is designed to not only help you understand what ‘normal usage’ looks like, but to give you the tools to manage, block and control your cell phone usage so that you can unplug, minimize distractions and focus on the things that matter. AntiSocial was added by MD98SY in Nov 2018 and the latest update was made in Nov 2018. The list of alternatives was updated Nov 2018 There is a history of all activites on AntiSocial in our Activity Log. It's possible to update the information on AntiSocial or report it as discontinued, duplicated or spam. Alternatives to AntiSocial for Mac, Windows, Android, Linux, iPhone and more. Filter by license to discover only free or Open Source alternatives. This list contains a total of 25+ apps similar to AntiSocial. No reviews yet for AntiSocial, want to be first? Maybe you want to be the first to submit a comment about AntiSocial? Just click the button up to your right!